“The Park, belonging to Sir Walter Hamilton Dalrymple, is a visitable competitor of the gardens of Sir Thomas Hanbury and La Mortola. 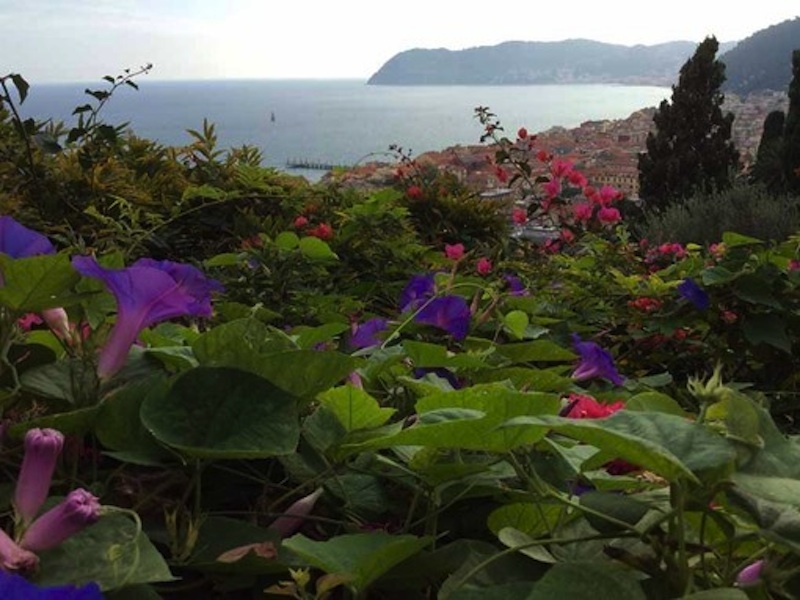 The love for the nature with a deep aquaintance for the garden have produced one of the beauty of the riviera” said William Scott about Riviera. 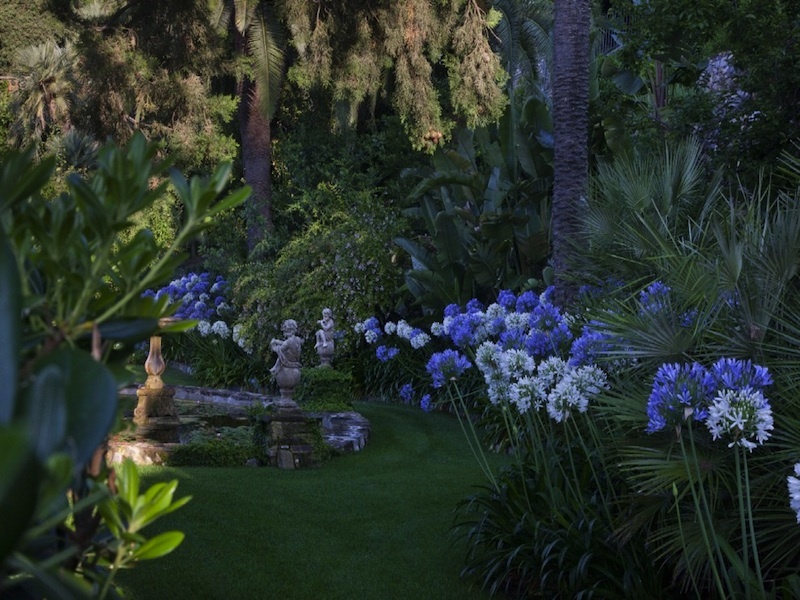 Born from the desire of the General Montagu McMurdo and his wife Lady Susan Sarah Napier, to realize a private abode with a park of pleasure to live in Riviera, today the garden it is a rare example of anglo-mediterranean park completely preserved in his originally extension. With the passage of the propriety at Sir Walter Hamilton Dalrymple, they grew up the number of the ornamental plants there and later the villa’s park prospered under the Hanbury, attracting many visitors including some members of the italian royal house. With the break out of the war, the property remained closed and seized; then, after the war, deteriorated. Starting in 2006 a group of friends guided by Silvia and Antonio Ricci bought the propriety to save it from an important building speculation, beginning with an hard and accurate conservative restoration and under the appassionate direction of the architect Paolo Pejrone. The new owners believed that the large park is firsltly an organism who changes and transforms as the years go by, even though willing to preserve his real character. So today the park is returned to the ancient splendors, with an eye oriented to the faded photography of the period, without giving up at changes. The collections of wisterias, very loved by the Hanbury, have been reintroduced, where the Agapanti were already, an important collection of agapantus has been created ex novo and praises over 300 different exemplars. Moreover have been created a citrus tree collection, the cactacees, loved by the Hanbury, geant bird of paradise flower and a place for the lotus. Didactic visit The Villa’s Gardens organize, during the month of April and May, educational activities for the Schools. Children, by the workshop, will discover the mediterranean machine and the exotic flora, who characterize the Gardens of the Villa: wisteria, rosemary, agapanto, bay tree, lavender, rose, palm. The aim it is to create a place of learning and experimentation. Guide visit The Gardens are open from march to october on saturday and sunday. The entrance it is regulated by guided visit with reservation from 9:30 - 11:30 am and 3:00 - 5:00 pm. It is forbidden introduce animals. The visit lasts 1h and 30 minutes and it is possible to do it individually or in groups. The Gardens are availables also for disabled: only some little zones are not accessible because of the ground.